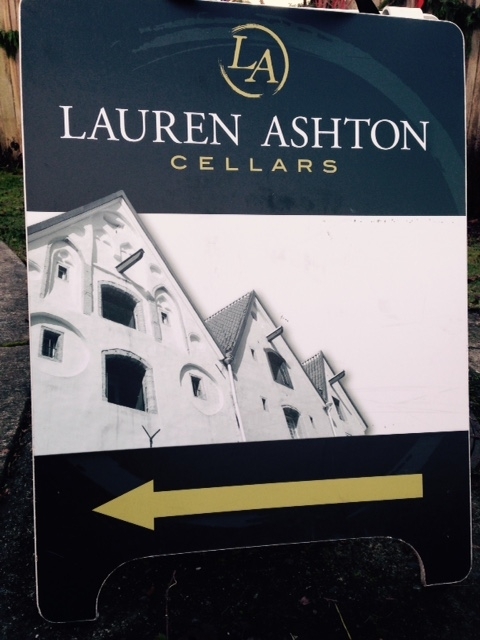 The very short history of Lauren Ashton Cellars is as unique as the wines they make. It is a story of what happens when a scientist pours all of his studies and knowledge into his heart and bottles the reaction. 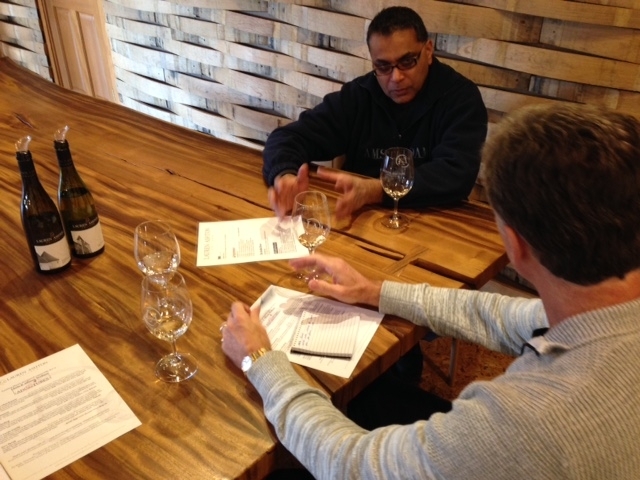 Kit Singh is the Trinidad-born proprietor and winemaker at Woodinville, Washington’s Lauren Ashton Cellars. 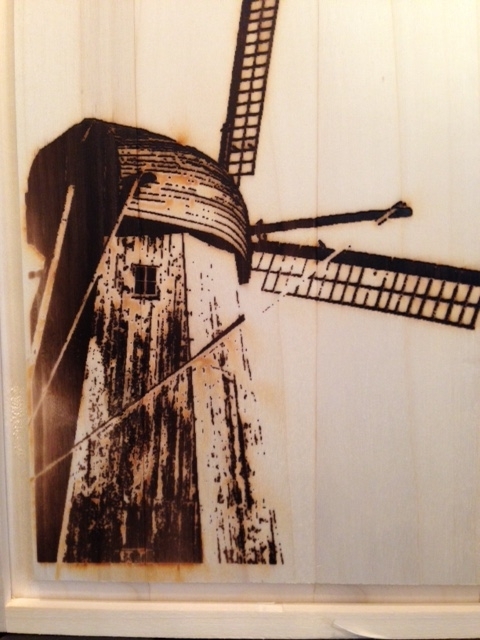 He moved up to Seattle in 1985 to attend the University of Washington where he obtained a degree in chemistry. He then went on to graduate school to obtain his DDS which provides him with his “other job”: he is a practicing dentist. Somewhere along the way, the wine bug bit him. As Kit explains to us at his Woodinville tasting room: “I travelled to Napa and Sonoma. That is where I really developed my taste for wine.” As he watched the Washington wine industry learn and grow up around him, he decided the scientist in him was no longer content to be an observer in this experiment, he would become a participant. He started to read all he could get his hands on about making wine, ordering in text books from the University of Bordeaux and the University of California at Davis. Just like during his days as a chemistry student and then as a dentistry student, he proved to be a quick learner. But book learning was not going to be enough for the highly inquisitive Kit; he began taking courses in enology and viticulture at South Seattle Community College. His superior intellect and his degree in chemistry not only propelled him through his courses, it eventually ended up with him returning to the college to teach those classes. To get the real hands-on experience of making wine, he apprenticed at none other than DeLille Cellars, one of Washington’s venerable and most renowned wineries. The intellectual side of Kit Singh is pretty easy to grasp. But to get the emotional side you need to meet him. Kit is soft spoken and has a wonderfully relaxed manner. He looks directly at you through stylishly funky glasses. His gaze is intent and if you pay attention you can see that, true to his background and education, he is studying you. Not sizing you up, not trying to place you in any box, but genuinely curious about you and wanting to know more. He exudes warmth as he tells you how he named the winery after his two children and how he chose pictures from his wife’s native Estonia to adorn his wine’s labels. He speaks passionately about how he makes his wines, about how he looks to create wines that express what Washington has to offer in terms of bold fruit paired with good structure, wines that compliment food and display balance and harmony. He tells us how he has been enjoying learning about wine since his university days and how Pinot Noir (a grape he does not make wine from) currently captures his imagination for its ethereal texture. 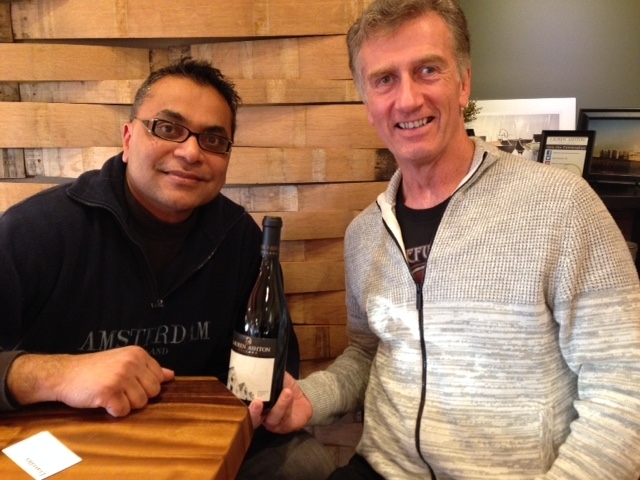 He tells us about how his background in dentistry plays a role in making the wines. “As a dentist, I work in an area this big”, he puts his hands together in a circle to replicate a mouth. “Inside this are so many minute details you must deal with.” And he takes the analogy over to wine and how you must deal with the myriad of different circumstances that each harvest of each varietal from each vineyard in each vintage are all quite different from each other, and each requires their own special attention to those details. These explanations, detailed and intellectual though they may be, are actually spoken directly from the heart, without having been thought over, and spoken with great passion. The result of intersecting a huge, scientifically trained mind with a true love for what he does is a terrific line up of wines. His first vintage was 2009 and the wines came roaring out of the blocks to huge critical acclaim that included 95 point ratings from both The Wine Advocate and the Wine Enthusiast, an almost unheard of feat for an inaugural vintage. Clearly established as one of Washington’s rising stars, and on a trajectory to fame and fortune, what did Kit do to follow up that in his second vintage? He didn’t release one. The 2010 vintage was a cool one and he did not like the quality of the fruit he was getting so he decided to produce nothing. That has to be a first in the annals of wine making history! 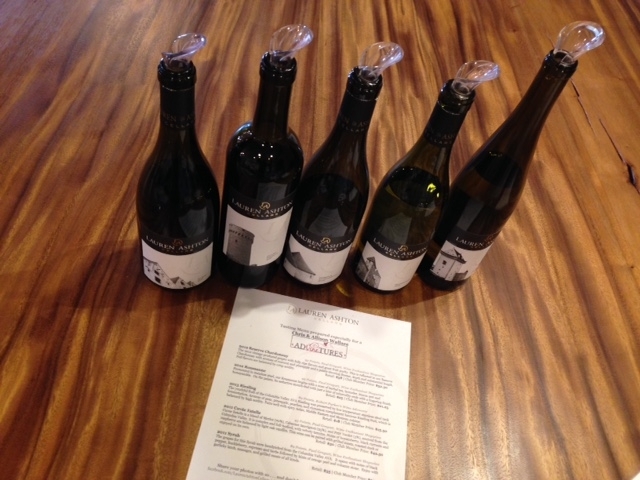 Thankfully he was able to work with his growers in the even cooler 2011 vintage and create some wonderful wines from that vintage and from 2012 and 2013 as well, as the following tasting notes will show. Pale yellow/gold with a green hue. A slightly tropical note imbues the green apple and melon aromas and flavours. The medium body is nicely balanced with a streak of acidity that creates a juicy finish. Raised in neutral oak, the wine only goes through partial malolactic fermentation and sits on the lees for nine months. 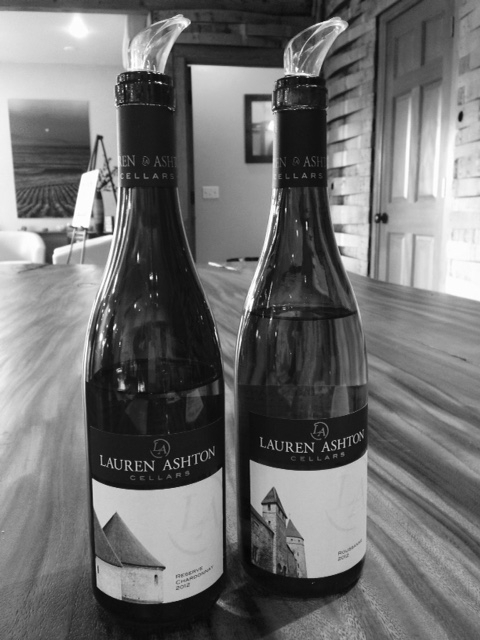 The result is a very balanced Chardonnay which leans slightly toward elegance over power. Even better than the 2011, which we wrote about here, the 2012 turns up the dials to deliver an intensely flavoured wine with an unctuous texture and crisp finish. We are reminded of a citrus/herbal tea with honey in it. Floral notes backed up with a hint of spice form the aromatics of this wine. The rich mouth feel is complemented by a minerality that keeps everything in balance. Delicious! 100% Dineen Vineyard. An interesting take on the varietal. Leaning towards apple/lime and away from the petrol notes, the wine is slightly off-dry. All fruit sourced from the Dineen Vineyard, a cooler site, which imparts a nice acidity as a counter-point to the .3% residual sugar. The slight herbal tea notes noted in the Roussanne above seem to be a signature of the Dineen vineyard and were pleasantly detectable in this wine as well. Here the goal is elegance over power. The body displays finesse with its medium weight and feels more akin to St. Emillon than the typically more robust Washington style. Cherry and plum flavours are infused with Asian spices and tea that create a sense of the exotic when taking in its aromas. This is Red Mountain (80% Klipsun) and it shows: this was the most structured wine in the lineup. Dark fruits of black cherry and currant come from the majority of Cabernet Sauvignon in the blend. Deep and rich, with a medium/full body, it is a wine to put down for a few years and let things integrate. Spices and woodsy notes linger on the long finish. A lovely medium-bodied Syrah that blasts through the stereo type that Washington Syrahs are too big or too extracted. Make no mistake, this wine has impact, but it does so with fine balance. Boysenberry and blackberry flavours are backed up with spice and delivered in a medium+ body that has a smooth, plush texture. Power and grace together in a wine that can be drunk immediately or cellared for several years.